Tuesdays with Dorie chose 2 recipes this month from Dorie Greenspan's book Baking Chez Moi that took advantage of all of the gorgeous fruit available now. This open-faced "tart" was designed to show off the ones that were at their peak. I used as many plums, nectarines and blueberries as I could fit onto the pastry base, adding even more after I folded the edges over. I loved that Dorie's galette dough was sturdy enough to support it all so it had that high fruit to pastry ratio I prefer. This was such a delicious way to enjoy summer fruit especially with lime and fresh ginger adding an extra little kick. 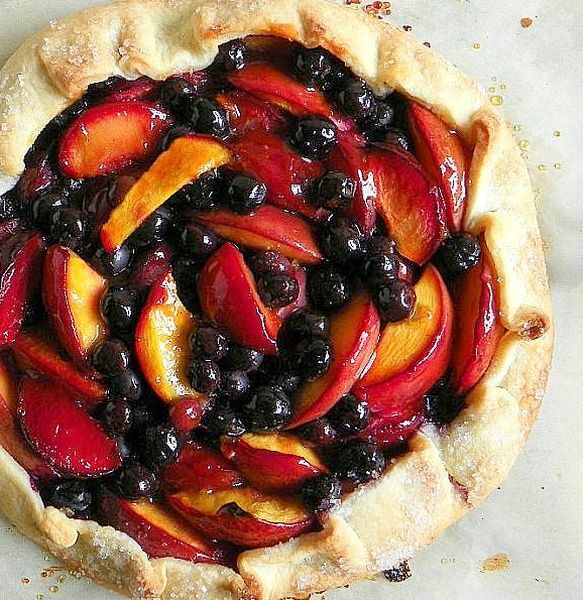 I'll definitely be making this throughout the rest of the summer - and into fall and winter - with whatever fruit looks best. Visit here to see what the other members baked this week. Looks absolutely fantastic! So vibrant! 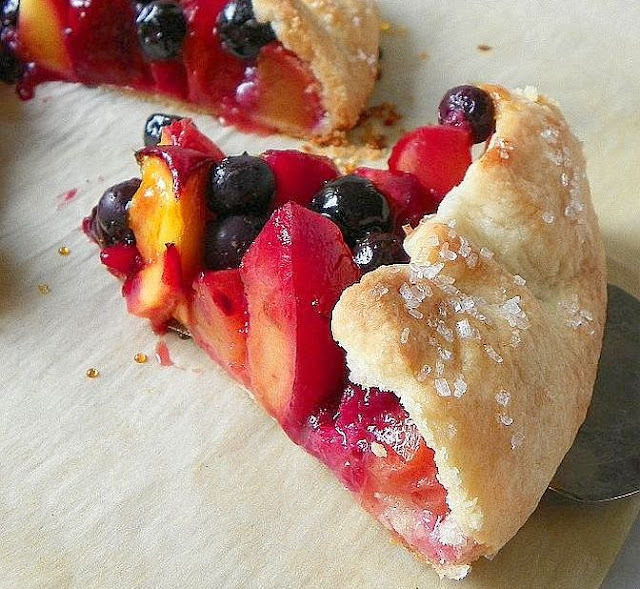 Your galette is just stunning! I was so uncreative with how I put the fruit into the galette - you have made such a pretty pattern. Yours is gorgeous! Like a fruit rosette! Oooh, how beautiful! It reminds me of those fancy rose tarts one sees on Pinterest! And also of the grapefruit cremeaux pie that we made early on in this bake-a-long. Great job! Hi Zosia, I have been away for a while because my mother is very sick, I love your open face fruit tart, it looks absolutely delicious indeed! I loved that you added extra fruit. I loved this and thought it was wonderful. I look forward to doing the fall one too. Rustic Batard - Cookbook Countdown BAKE! Nan-E Barbari - Cookbook Countdown BAKE! Piri Piri Chicken with Slaw - IHCC On the Barbie!